What a site to behold! 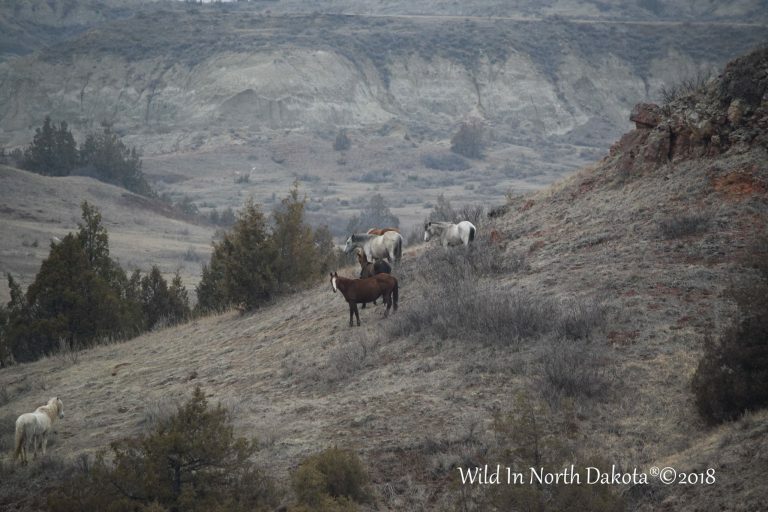 The horses being present in this gorgeous landscape help to make the rough and rugged North Dakota Badlands even more beautiful! That is Stallion Gray Ghost who takes a moment to look up and take note of his family Band that not so long ago belonged to Stallion Gary. Enjoy your day and this view of a ‘day in the life’ out here in Theodore Roosevelt National Park.